In my continuing saga to find the perfect FreeBSD desktop, I decided to set aside the fully fledged desktop environments (KDE, Gnome and Xfce) that I've reviewed so far and instead focus on one of the most lightweight window managers: Fluxbox. I figured if I could get it to work, and liked using it, I could adapt it to fit on my boss's ThinkPad which can only just run IceWM or Windows 98 as it is ;). As you can see, it's very lightweight. On a machine like this it loads faster than you can lift your finger off the return key when you type startx to launch it, it's wild! 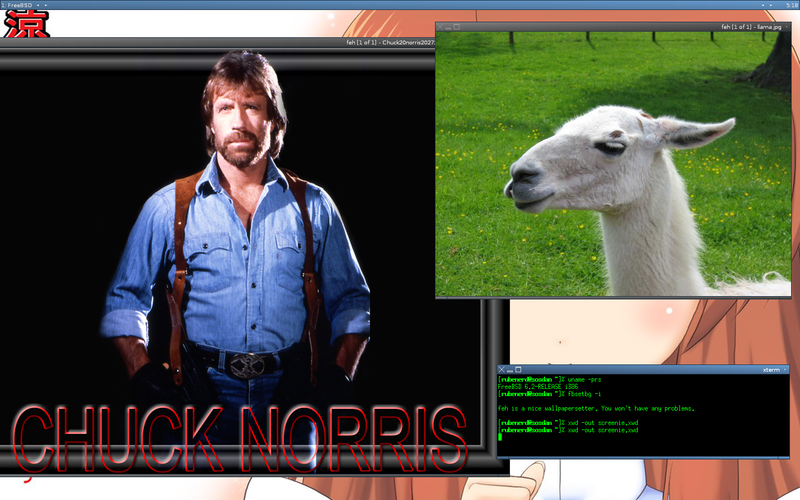 Unlike the aformentioned desktop environments and like other vanilla window managers, Fluxbox does exactly what it's supposed to do; and that's it. It's entirely up to you to choose your web browser, email client, office suite, file maneger, terminal emulator and so forth which can take more time on your part but is very rewarding. 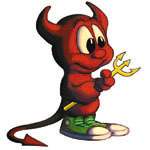 The first snag I came across installing Fluxbox on FreeBSD is that the port in the ports collection called fluxbox is actually not the one we want, but rather the fluxbox-devel. Despite the name, fluxbox-devel is the stable release. Caught me out the first time! Once you have the base fluxbox window manager, just add exec fluxbox to your ~/.xinitrc file, then type startx to fire her up. The configuration files are created in a new folder ~/.fluxbox in your home directory. The customisable settings are in the init file, and you can customise the right-click desktop menu with the surprisingly titled menu file. Is good yah. The verdict? Even on slow machines Fluxbox whoops some serious arse, and on my MacBook Pro it works faster than I can type the commands! For many situations I'll definitely consider it, but I'm a sucker for nice graphics so for my production machines I'll stick with the desktop environments for now; but I must admit Fluxbox + ROX-Filer is a very nice combination. 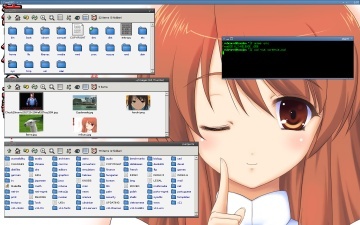 Surprisingly the folks over at Fluxbuntu have had a very similar idea and are implementing Fluxbox and ROX-Filer over Ubuntu Linux. If it weren't for the fact it's not FreeBSD I'd check it out, looks very intresting.